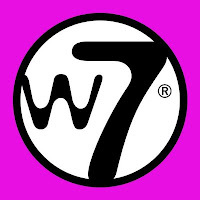 I'm really enjoying my W7 nails polishes because they apply really well and come in a range of fantastic shades and finishes. And something I realised today (where have I been!) is that the bottle design/shape is exactly the same as OPI, so a good decent size 15ml bottle. Today I'm wearing Lou Lou, a pretty pastel baby pink, such a cute shade, very wearable and I'm sure I'll use it time and time again as it's a great base colour for stamping, foils & water decals etc. I applied 2 coats, a nice flat wide brush and generous 15ml bottle. to receive 25% off your order!